|| KingMC Music || Welcome! Welcome to my hideout. It's been a long road to this point, much like the driveway to the Bat Cave. Seriously, how does he even remember where he's going? I guess that's what Alfred's for. On this site, you'll be able to keep up on the latest news on what's happening in my life, music, and ministry. Examples: Life - I had a peanut butter sandwich for lunch today. Two in fact. 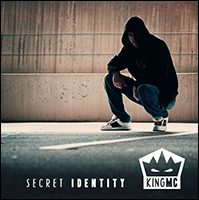 Music - My latest album, "Secret Identity", can be heard in the music player. Ministry - In February, we were able to contribute boxes of Bibles, as well as raising money, to help out a local prison ministry. And stuff like that. Have a look around, and go ahead and buy something, donate to the cause, or sign up for the mailing list. Talk to you soon! "Changing the World featuring Jimmy Needham"